It is normal in a lot of cultures for parents to support and communicate with their children to make them successes in their future. Some parents talk to their children about success. Abdul is a parent of an 11th grader. “I talk to them [my children] every day about school and their problems at school,” he said. “My parents do the best they can to give me the tools that I need,” senior Evelyn said. “My parents are going to give money for college,” senior Gobe said. But not all parents support their children. 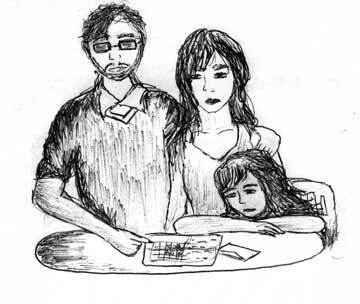 “My father never, talks to me about school,” Jessica said. She also doesn’t think he will help her go to college. Jessica works part time to collect money for her college. She dislikes how her father communicates with her. “He never tries,” she said.